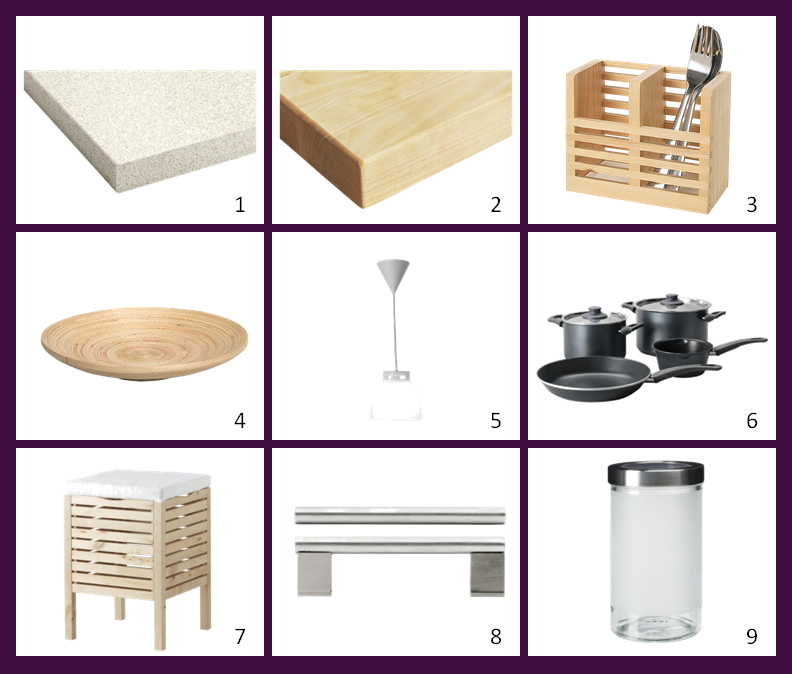 Wall Cabinets: Choose one door style for the base cabinets and another for wall cabinets. Great option for small spaces. 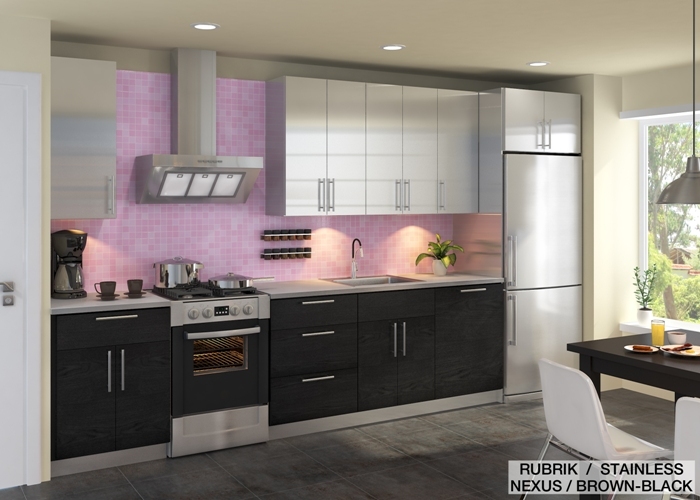 How about using Nexus Brown-Black base cabinets and Abstrakt Cream wall cabinets? Stacked Cabinets: If you have enough room to use stacked cabinets, why not design the upper row of cabinets in a different style? 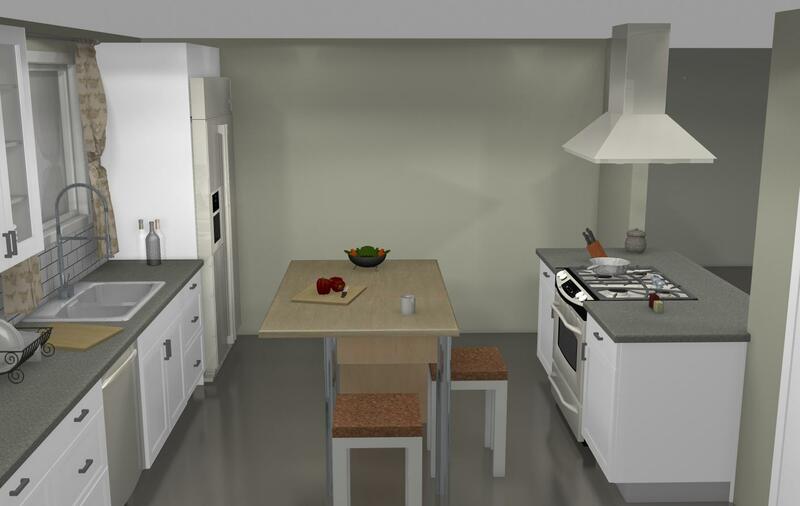 A White Applad kitchen will certainly shine when paired with a row of Red Abstrakt sliding door wall cabinets along the top. 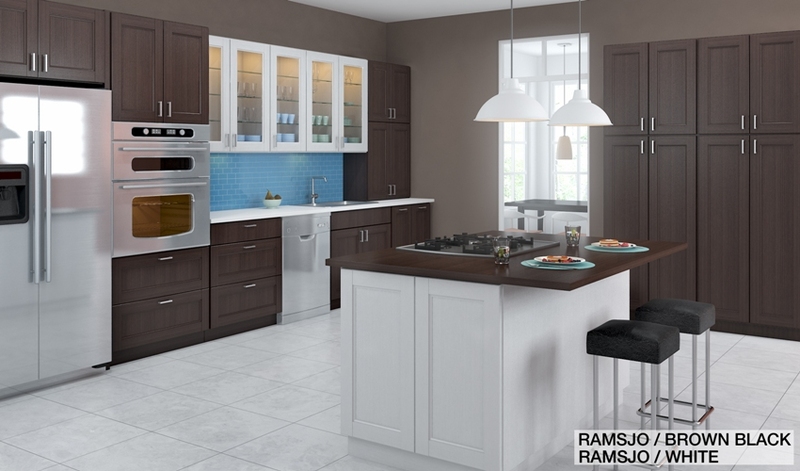 Islands: Go for dark cabinets, such as Ramsjo Brown-Black for your bases and wall cabs and combine them with a light island, like Ramsjo White. As for the counter, you can choose the same color for both or even invert the colors. Keep it simple: make sure the door styles and colors complement each other. If the door chosen is too detailed, then make sure the second door style isn’t. For example the beaded design in Stat doors wouldn’t go well with a high gloss Rubrik Abstrakt Green door. Careful with the color selection: check color chips or door samples at an IKEA store to make sure that the colors combine well. Rubrik Turquoise with Lidingo White may sound good in theory, but the only way to be sure is to see them next to one another. 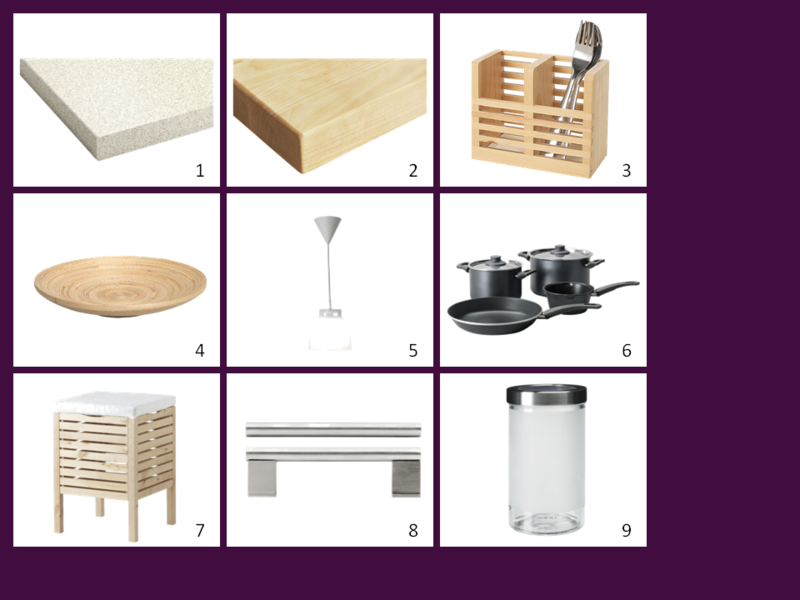 Neutral countertops: choosing more than one color for your cabinets means that the countertop must match two styles instead of one. 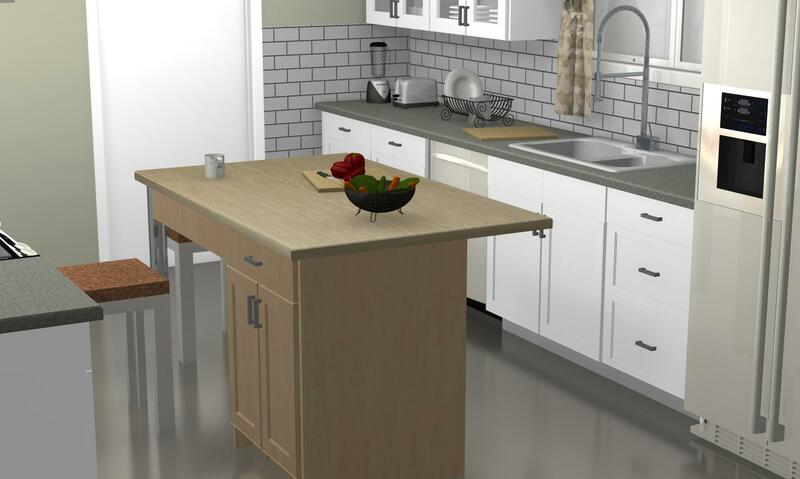 While a Numerar birch countertop would look stunning with White Harlig cabinets, it will go poorly with a high gloss Gray Abstrakt. Any other interesting IKEA door combination suggestions?